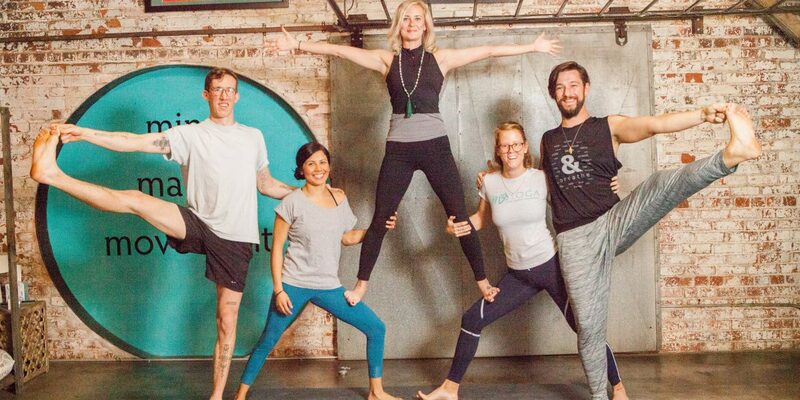 Today we announce a HUGE announcement about the future of M3Yoga—we’re expanding! Starting this morning with an email to our autopay and prepaid member, we announced the M3Yoga expansion project, a second, 2,400+ square foot facility adjacent to The Cotton Press in our same great Chase Park Warehouses home. Starting next month, we will begin build-out of that space, which will include a dedicated practice area, lobby, yoga lounge, lifestyle boutique and more surprises! We plan to be in the new spot in June, and will host a huge Open House party open to all of Athens. This expansion is to continue to offer the best, most approachable yoga for EVERY body. This lets us do it on a bigger scale, where space isn’t an issue. This new space will allow our current studio to become the home of the upcoming 200 hour and now 300 hour advanced teacher training through the M3Yoga Center. There also will be workshops and other classes held in the Tree Room studio. We wouldn’t give up a gorgeous spot! We will have all the classes you’ve come to love, but we will be adding some new ones as well. Our amazing teachers are still going to be teaching at M3; there will even be some new ones! It hasn’t even been a year since we have opened our doors, and M3 Warriors like you have greeted us with open arms. We cannot thank you enough. We will continue to stay true to our roots and never, ever defer from our mission statement, to make our space inclusive and safe (and fun!). You all have made Athens inclusive and safe for our business, and M3 will continue to be a space that you can come in, no matter what walk of life you are from and feel met where you are. We love you Athens and can’t wait to keep you up to date on all the progress! Stay up to date with our expansion project by liking our Facebook page or following us on Instagram!